There are generally three components to how we communicate with others. The first component is our WORDS—what we are saying. The second component is our VOICE—how we are saying our words. The third component is our BODY LANGUAGE—what our “non-verbal” communication is conveying. You might have heard of the 55%, 38%, 7% communication rule. This rule supposedly states that 55% of your communication is from your body language, 38% from your tone of voice, and only 7% is from the actual words that you are using. These percentages came from an incorrect understanding of a study done by Dr. Albert Mehrabian and his fellow UCLA researchers back in 1967. His study was not intended to reflect all communication—so the percentages in a given situation could be vastly different. Although the percentages between the three components will change based on the circumstances—the three components DO impact our communication and it’s important to be aware of that impact. For this blog post I want to focus on one specific communication component—BODY LANGUAGE—emphasizing the effect on presentations and public speaking. A little background first–my friends know that I LOVE to play poker! (Not that I’m a good player—but I do love to play!) “Poker tells” might be a term that you are familiar with. It’s when a poker player’s body language communicates how strong or weak their cards are. Let me give an example. Years ago one of the poker “regulars” that would play in my game would shuffle his feet under the poker table when he had a good hand. Above the table his body language gave you no clue if he had a good hand or not. If you were able to sneak a look under the table though, and saw those feet shuffling back and forth on the carpet—you knew he had a monster hand and it was time to fold yours. His body language gave him away! EYE CONTACT—There is no better way to connect with your audience than with your eye contact. 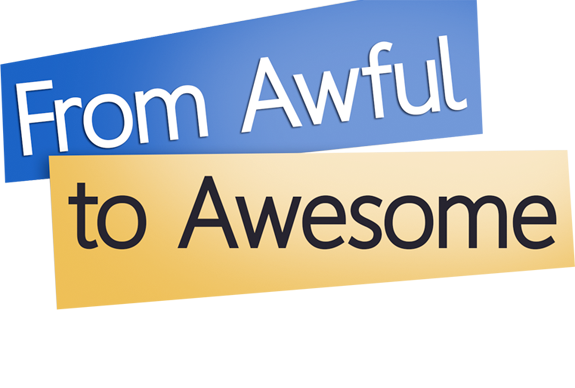 Too many presenters look at the floor—look up in the air–anywhere but directly at their audience. 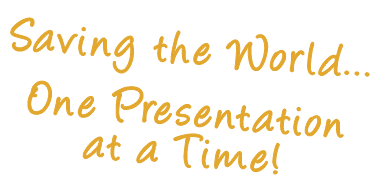 Have you been in one of those presentations? Did you feel engaged? Probably not. I’ve sometimes wondered if the presenter would even notice if the entire audience walked out—since he or she wasn’t even looking at them! Now let’s be clear– I don’t mean that you should pick a person out of your audience and stare at them for the entire presentation. (That’s just creepy!) I am suggesting that you should make eye contact with an audience member for a few seconds, then move your gaze to someone else. It conditions the audience to wait for the next eye contact—and helps create a connection with them. A tip and a suggestion — Tip—look at one specific person when you make one specific point—this can really enhance the effectiveness of your message. Suggestion — it’s common for presenters to fixate on one section of the room when making their audience eye contact—or on one or two individuals. Of course that’s fine if you only have one or two folks in your audience!—but if your audience is bigger be sure to make everyone in your audience feel included, even if you don’t look directly at each individual person. Make sense? Quick summary—if you want your body language to match and enhance your message, and to help create a connection with your audience, just remember—The “Eye’s” have it!